Facebook’s security precautions don’t seem to stop and recently have they surprised us with another set of changes affecting every 3rd party application using their API. The most upsetting one is probably disabling the automatic search of Facebook business pages. Practically speaking, you can’t tag these in your posts as easily as you once could. However, as always, we are trying to make your lives easier. That’s why – as the only social media tool – we bring this option back. There’s a chance you won’t even notice the difference. 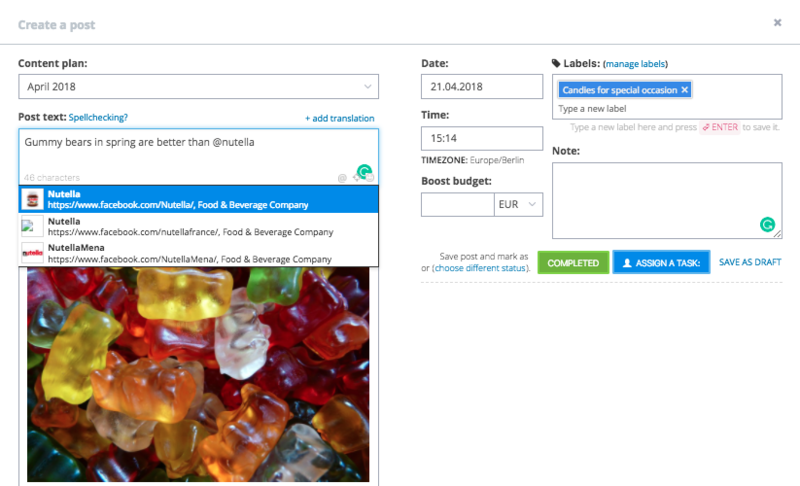 If you want to tag a page, do as you usually would – in the text field type ‘@’, start typing the name of the page and choose it from the list exactly as you would on Facebook. It may happen, that the list won’t contain what you’re looking for. In that case, proceed as follows. 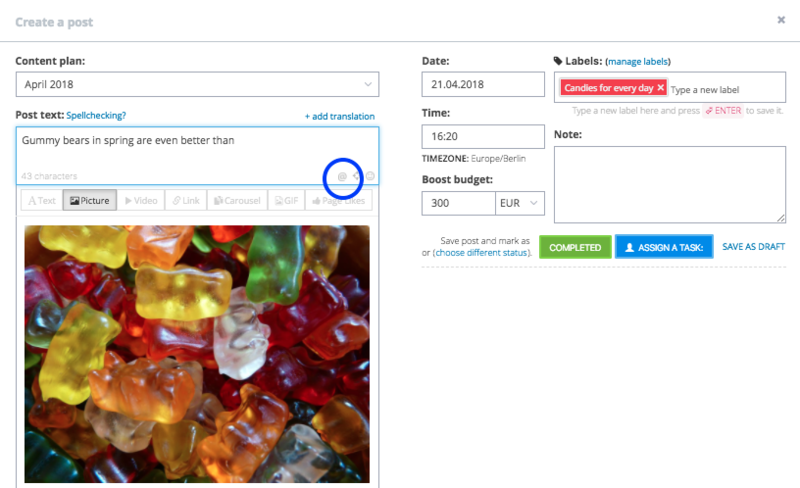 When you are creating or editing a post, click the ‘@’ icon within post text field. Now just type “@” and a name of your page into the post text field once again and suggestions should contain a page you have just added.